The National Gallery of Australia and its longstanding Indigenous arts partner, Wesfarmers Arts, have announced a new six-year, $4 million partnership which includes a major international touring exhibition of Aboriginal and Torres Strait Islander art in Asia. The exhibition, Indigenous Australian Masterpieces, launches in 2020. The international exhibition will be co-curated between the organisations and respective collections and travel to Singapore and cities in China. The exhibition will show rare works from the 1800s through to Albert Namatjira's renowned watercolours, the dynamic Papunya movement, and contemporary works of Australia's best artists. 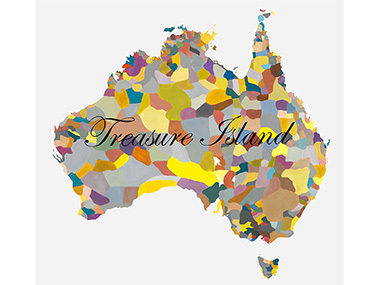 The project will be an Indigenous-led and developed initiative – providing an opportunity for alumni of the Wesfarmers Arts Indigenous Arts Leadership Program to work on the international stage. The project also involves the commissioning of a major new work of art that will be gifted to the National Gallery of Australia and offered to international exhibition collaborators. The new partnership builds on an exceptional program of supporting Indigenous art exhibitions and arts professionals over the last eight years. In addition to the touring exhibition, Wesfarmers Arts will support the development of a new digital platform that celebrates and promotes Indigenous art and culture. And their MD is quoted as saying: “Aboriginal art is the biggest contribution Australia makes to world culture”. 1> “Co-curation” with the Singapore and various Chinese institutions surely makes little sense when you are offering “Masterpieces” of Indigenous art. Surely this “Indigenous-lead” project – involving some of the 84 graduates of the NGA's Wesfarmers training scheme (where are they now? in need of employment??) - is quite capable of making the selection – and doesn't need the confusion of an international committee? 2> Anything missing from the list of potential masterpieces? Barks! I trust that's merely an error of omission not commission. 3> The phrase “contemporary works of Australia's best artists” should mean the best work produced today anywhere in Indigenous Australia. But is there just a hint that 'contemporary' is often limited by Indigenous curators through familiarity and identification to urban/Blak artists? 4> Another phrase - "the commissioning of a major new work of art that will be gifted to the National Gallery of Australia and offered to international exhibition collaborators" seems to be a contradiction in terms. How can it go to both NGA and others? Well, it turns out that this is a $600,000 commission of work that can be editioned – like moulded sculptures, prints, films or video. Does that feel like a “major work” to you? 5> The NGA may have the world's largest collection of Australian Indigenous art – but will it permit itself to look elsewhere for the best – such as a late Tommy Watson? 6> Recently, Cate Blanchett had the temerity to suggest that she had every right to play a Lesbian on stage or screen. However, it's increasingly clear that Indigenous art will only be selected and shown in “Indigenous-lead” circumstances. And most of those leaders are the gate-keepers from the south rather than the richly acknowledged elders from the north, operating on different planes. An exception is next year's culmination of the WA Art Gallery's six year 'Desert, River Sea - Kimberley Art Then and Now' project which will feature 150 works from the region's six major art centres and three independent artists.